Iran do Espírito Santo's cast concrete Playground is an interactive monumental sculpture that was created in 2013, and was originally installed in Central Park. For Playground, this new location at The Fields Sculpture Park provides an incredibly different environment for the viewer to experience this work. 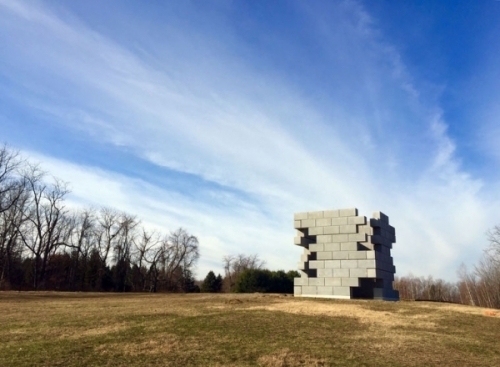 This sculpture now exists in a space with copious amounts of open skyscape, large fields and stretching treelines that contrast immensely with the previous location that was surrounded by people, buildings, and traffic. For more information, please visit omiartscenter.org.